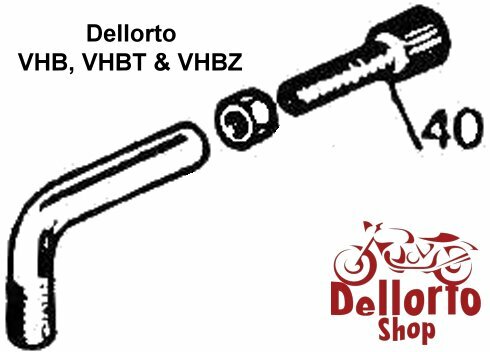 Throttle cable adjuster for the Dellorto VHB, VHBT and VHBZ series carburetors. 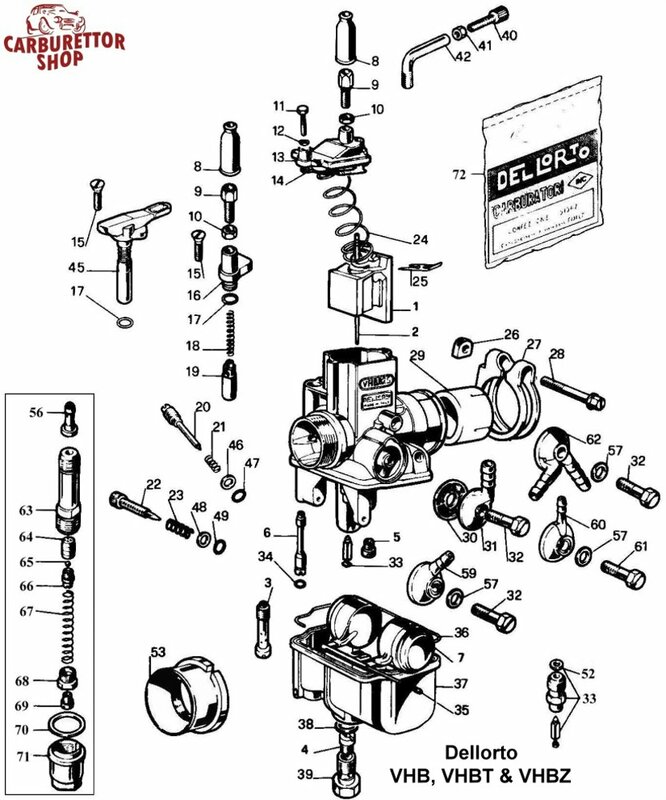 Please note that this cable adjuster uses lock nut Number 41 in the drawing (Art. Nr. 1692). This is item number 40 in the drawing.